Inspired by a long and winding journey from Wessex, through Brittany, the Loire, the Dordogne, the Basque country and on to Santiago de Compostella in Galicia, the holy place of pilgrimage. Asher undertook this journey with his partner Kit (they were later to marry) in 1992, without either of them realising at first that they were following an ancient pilgrimage route. Once this became apparent it spawned an inspired burst of creativity, and the albums Concert of Angels and Art of Love also came out of this journey. 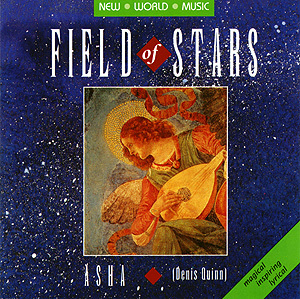 This is an instrumental album, full of Celtic and medieval twists and turns, except for Asher's modernised version of 'Greensleeves' and his prayer-like 'My redeemer'.